What Military Branch Accepts Felons in 2019? because you just want to serve your country, or maybe because you didn’t find much success in other fields. But researching, you may have discovered that felony convictions automatically disqualify you from service in the US military. And while this indeed is true,you may apply for a waiver in order to get enlisted nonetheless. How is it done and will it even work for you? Read on to find out. Enlistment moral standards deal with the acceptability of individuals with court records, convictions, or adverse juvenile judgments. Moral screening thus is the process during which the applicants’ credit and criminal backgrounds are reviewed by recruiters. 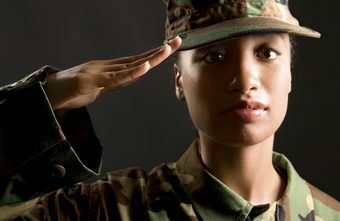 The standards screen out individuals who are deemed inappropriate for the military due to possible serious disciplinary cases and harm to the military mission. Aside from initial screening, interviews are conducted with applicants who have criminal backgrounds. The screening procedures in the US military are extensive and in-depth. The eligibility of the applicants to recruitment is based on the severity of the offense they have committed. Applicants are required to disclose all incidents that resulted in an arrest or charges, including all sealed, expunged, or juvenile records. Under the law, applicants with a pardon, expungement, or dismissal have no records of conviction, but a felony waiver will nonetheless be required to authorize their enlistment. Failing to disclose information or provision of false information is considered a federal offense, so you as a felon should be honest and clear about all the convictions you’ve had. Your background is going to be thoroughly checked, and if you lie about something, it will be found out. What is a felony waiver and when is it applied? Strictly speaking, felons are not eligible to serve in any of the US Armed Forces’ branches. However, this doesn’t mean that felons will not be enlisted in the Armed Forces. This is done via a felony waiver. A felony waiver is a special permission granted to applicants with a criminal record. Some offenses can be waived, while others cannot. Recruiting officers themselves do not have the authority for waiving. Some waivers may be approved or disapproved by the Recruiting Battalion Commander. Others need to be reviewed by the Commanding General of the Army Recruiting Command. However, if your criminal offense can be waived, it doesn’t necessarily mean that you will be accepted into the US military. As an applicant and a felon, it would be your responsibility to prove to the authorities that you’ve overcome the disqualifications for enlistment and that you’ve been able to reintegrate with the society. In addition, you would need to prove that your acceptance is in the best interests of the Armed Forces. Authorities will consider the so-called whole person concept when making a decision. That is, available and reliable information about the applicant, be it favorable or unfavorable, past or present, is going to be considered. The nature and seriousness of the offense. The circumstances surrounding the offense. The frequency and/or recency of the offense. Your age and maturity at the time of the offense. Generally, the younger you were and the more time has elapsed since the offense, the likelier you are to being enlisted. The likelihood of the re-occurrence of new offenses. Generally, if you have expunged, vacated, set-aside, or sealed convictions, you are more likely of receiving a waiver. Having a cleared conviction will demonstrate that the court has considered you rehabilitated.So by disclosing cleared convictions, not only will you avoid the risk of legal actions, but the cleared records will serve as a plus for you in the application process. It is very important for you to do everything possible to clear your record and make sure that you present all the information on your criminal records. There is no appeal for disapproved waivers since a waiver is an appeal in itself. That’s because you are not qualified to be enlisted in the army in the first place, and you are actually appealing to recruiting authorities to make an exception for you. Which offenses require a waiver? Minor traffic offenses.If you’ve had six or more minor traffic offenses fined at least $100 per offense, a waiver will be required. Minor non-traffic offenses. If you have had three convictions for minor non-traffic offenses, you will again need a waiver. Juvenile offenses. Juvenile offenses are those that have been committed under the age of 18. 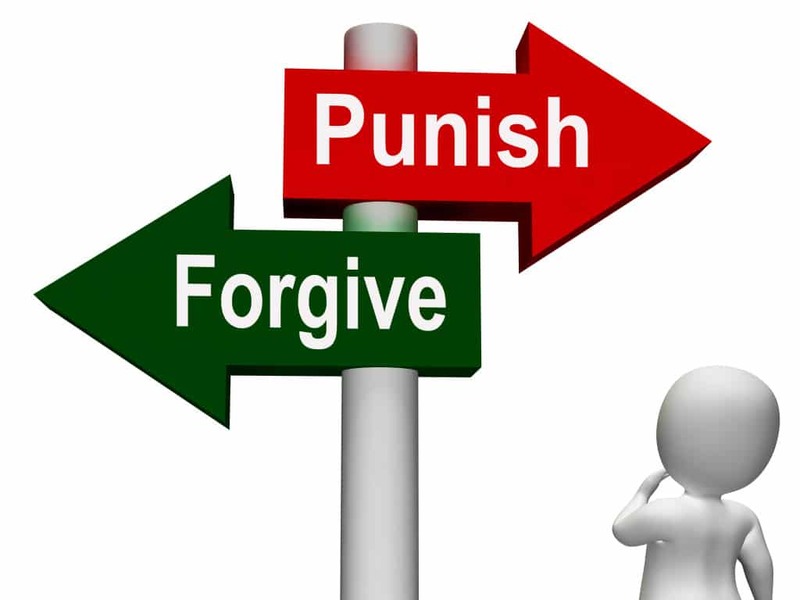 Again, keep in mind that you will need to reveal all the offenses committed as a juvenile, including offenses that have been expunged, dismissed, sealed, or pardoned. Misdemeanor crimes. If you’ve had 2-4 civil convictions or other dispositions qualified as misdemeanors in the Armed Forces, a waiver will be required. A waiver will not be issued if you have four or more civil convictions. DWI/DUI. If convicted for DWI/DUI two or more times, you will need a waiver. A waiting time of 12 months must pass from the date of the conviction for you to receive a waiver. Felony offenses. The US Armed Forces have their own definitions of what constitutes a felony, though they mostly correspond with state definitions. Felonies are the most problematic among recruitment offenses. It should be mentioned that the probability of you receiving a felony waiver is going to strongly depend on the needs of the Armed Forces. If the demand for personnel in the army is increased and if you don’t have disqualifying convictions, you are more likely to be accepted. Offenses including intoxication, drug use, or possession of thereof during the enlistment process. Any pending charges at the time of the enrolment. Serving parole, probation, confinement, or other forms of civil restraint. Convictions for the sale, distribution, or trafficking of controlled substances. Three or more DUI convictions in the 5 years preceding the application. 5 or more misdemeanors preceding the application. Do keep in mind that there are plenty of factors that may come into play while the reviewing officials are deciding whether or not to accept your application. You may have committed just a minor felony, but certain factors may make you ineligible for military service in the US Armed Forces. You should also realize that you are not going to find information specific to your case online. There are plenty of variables in play, and no one can provide you with accurate information but a recruiter.Only after speaking to a recruiter will you be able to learn whether or not you are eligible for army service, so if you are still wondering, the best thing to do would be to go and chat with a recruiter in your area. What military branch accepts felons? 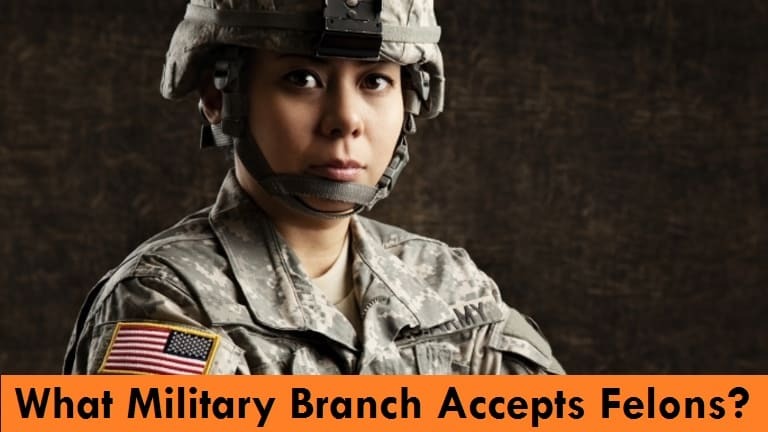 And speaking of branches, what military branch accepts felons exactly? Well, you have chances of getting enlisted into any of the US military branches, but some accept felons more readily than others. All military branches consider felony as a disqualification, but they do make some exceptions. In recent years, it appears that the US Army has issued more waivers when we talk about percentages. Bad conduct and drug waivers in the US Army accounted for 19% of waivers issued in 2016, 25% in 2017, and over 30% in the first half of 2018. In contrast, the Marine Corps and Air Force have issued significantly less bad conduct and drug waivers, generally hovering from 2% to 13% of the total number of waivers. The Navy has slightly increased its waivers for bad conduct in recent years, bringing their share up to 13% of the total waiver number. In addition, overall recruitment bonuses in the US Army grew by $115 million in the first half of 2018. The Navy also tripled their enlistment bonuses up to $100. As for other branches, they’ve cut down on their enlistment bonuses– Marines from $8.2 to $8 million and Air Force from $19 to $14 million – instead focusing on encouraging servicemen to stay in service. This means that the US Army and Navy have been encouraging new people to enlist in the past years. This doesn’t mean that standards in the US Army or the Navy are lower than in other branches of the US Armed Forces. It most likely means that they have more demand for personnel, which is why they’ve been issuing more drug and bad conduct waivers during the past years. So in the near future, you may have more success with the US Army and the Navy than with other military branches. Robert Gomez was born and raised in the Bronx, New York. He currently lives in Northern California with “the wifey,” “the kids,” “the dog,” and “that cat,” 🙁 He is also a former journalist who has interviewed murderers on death row. Felonyfriendlyjobs.org was born to help ex-felons get a second chance in life. Can You Join The Navy With a Felony on your Record? 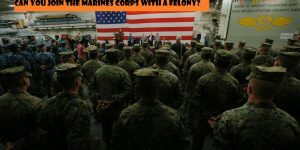 Can you join the Marines Corps with a Felony? 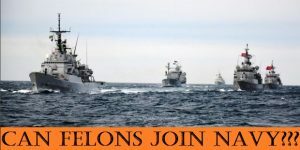 Can you join the Navy if you have a Felony? Can You Go to Canada With a Felony Conviction on your Record? Can I get a CDL with a DUI on my record? Can You Get A CDL If You Are A Felon?